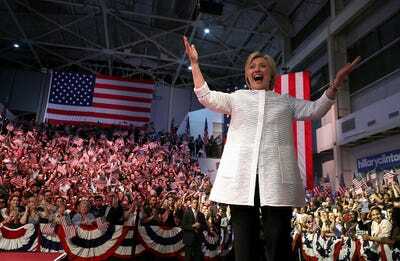 Justin Sullivan/Getty ImagesHillary Clinton at her primary night speech in Brooklyn, New York. Hillary Clinton clinched the Democratic nomination on Tuesday, and she’s currently beating Donald Trump in many national polls. Depending on how things shake out in the fall, the United States may very well be headed for its first woman president. But if Clinton is elected, she’ll be far from the first woman to run a country. Other nations have been smashing their highest glass ceilings for decades — here’s a look at some of the most notable female leaders of the modern world. 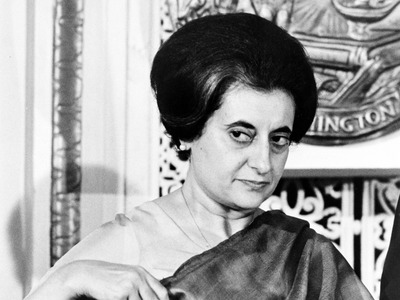 Indira Gandhi was the daughter of the first Indian prime minister to lead the country after colonial rule. After her father, she's the second-longest serving prime minister. During her time in office, she worked to overturn the caste system, but is also accused of contributing to the still-present tension between India and Pakistan. She was arrested in 1978 on corruption charges, but was reelected in 1980. In 1984, she was assassinated. The Indira Awaas Yojana, a government housing program for the poor, is named after her, as is the Indira Gandhi National Open University, the largest university in the world. Elisabeth Domitien, a farmer and businesswoman, got involved in the anti-colonial movement at age 20. She led the women's division of the Movement for the Social Evolution of Black Africa and was known for her powerful speeches. In 1960, the country won its independence, and the liberation movement became the government. The new president, Jean-Bedel Bokassa, appointed her as prime minister, hoping a female leader would draw global attention. When Bokassa tried to proclaim himself emperor, and Domitien opposed him, she was fired. She remained a prominent figure, as a former politician and businesswoman, until her death in 2005. 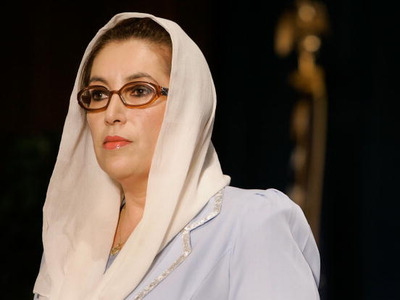 Benazir Bhutto was the daughter of a former prime minister, Zulfikar Ali Bhutto, who founded the Pakistani People's Party. She later became the chairperson of that party. Bhutto became the first female head of an Islamic government in 1988. She served two nonconsecutive terms and enjoyed considerable popularity, but was targeted in an assassination attempt in 1995. In 2007, she was assassinated in a bombing. Bhutto, often seen as a symbol of women's empowerment, paved the way for female political involvement in Pakistan. Agathe Uwilingiyimana was born to farming parents but later became a professor of chemistry at the National University of Rwanda. After founding a self-help organisation at her school, she earned the attention of the authorities, and became a director in the Ministry of Commerce in 1989. In 1993, she became the first woman prime minister of Rwanda. 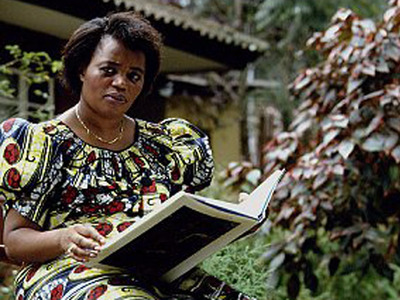 She was assassinated the next year after the Rwandan genocide began. 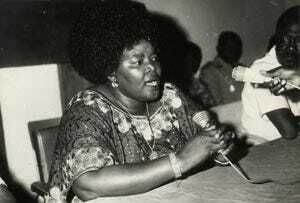 Her political career was short, but she remains influential as one of Africa's few female politicians. 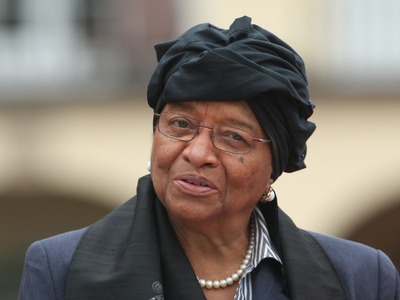 Ellen Johnson Sirleaf is the current president of Liberia, and the first elected female head of state in Africa. She's also the first woman to chair the Economic Community of West African States. Born to parents with impoverished backgrounds, Sirleaf has focused on education and health care. Along with Leyman Gbowee of Liberia and Tawakkol Karman of Yemen, she was awarded the Nobel Peace Prize in 2011 for her work towards the safety of women and womens' rights.